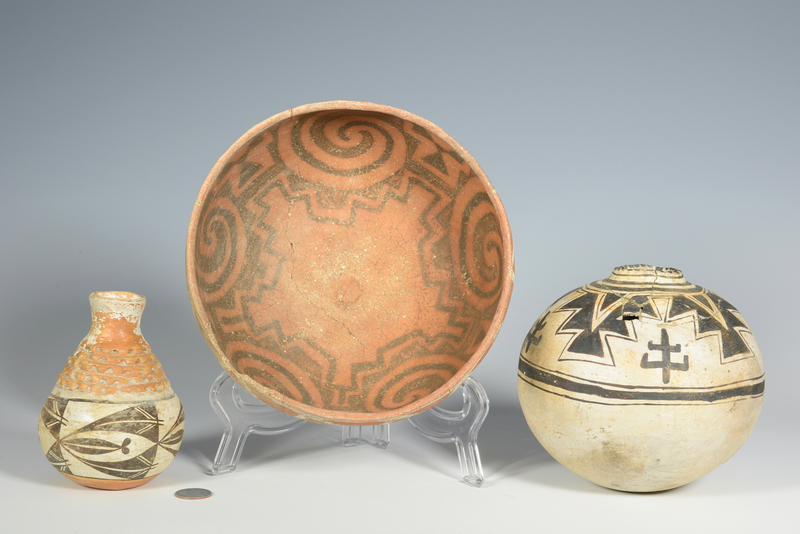 1st item: A St. John's Polychrome Anasazi Bowl, with white decoration to exterior and black decoration to interior, circa 1175 AD; 2" chip and repaired crack. Illegible writing in pen on underside. Bowl – 8 1/2" diameter. 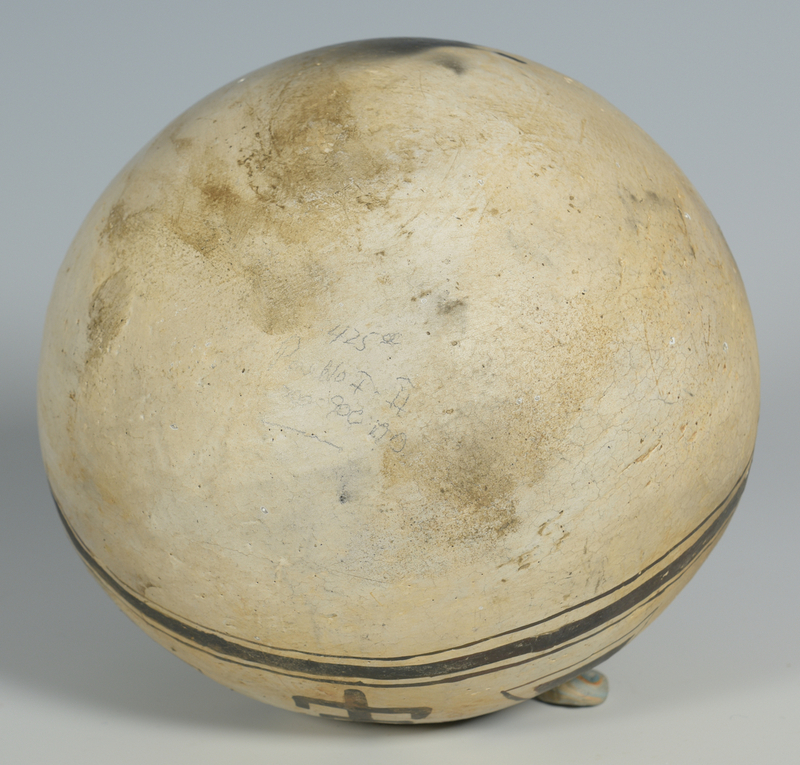 2nd item: Early Pueblo black and white jar with geometric decoration and narrow neck. Broken and repaired. Pen writing on underside: "Pueblo I-II 700-900 AD $425". 6 1/2" H x 6" diameter. 3rd item: Pueblo bottle form vase with relief decoration just below neck, over black and white geometrics. Pen writing on underside: Von Acoma 1880. Considerable wear to neck. 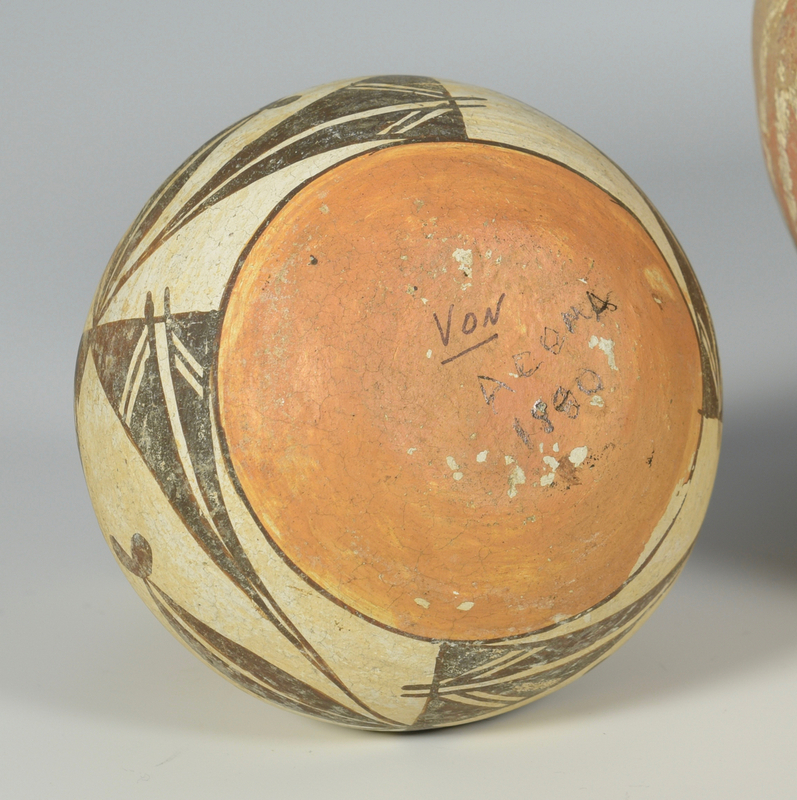 5"H. Provenance: consignor is an archaeologist who worked and traveled in the Southwest in the mid 20th century. CONDITION: See item description.